Although the date of official transaction has not been revealed, this information has made the price of HVN shares on the UPCoM jump 4.6 percent on April 12 to VND40,900 per share ($1.76). Vietnam Airlines started trading its shares on the UPCoM since early 2017. At the present, charter capital of HVN is at nearly VND14.2 trillion ($612 million), of which the state holds 86.19 percent stake or 12.2 billion shares. The total asset of HVN reaches VND82.39 trillion ($3.55 billion). According to the carrier’s balance sheet, its payable was above VND63.71 trillion ($2.77 billion), accounting for 77 percent of its total capital, coming mainly from long-term financial loans. Last year, net revenues of Vietnam Airlines hit VND96.81 trillion ($4.17 billion), up 16 percent compared to the previous year. 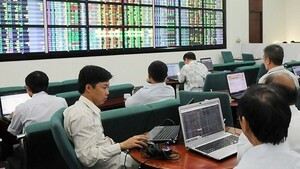 Its post-tax profit nearly touched VND2.6 trillion ($111.99 million).